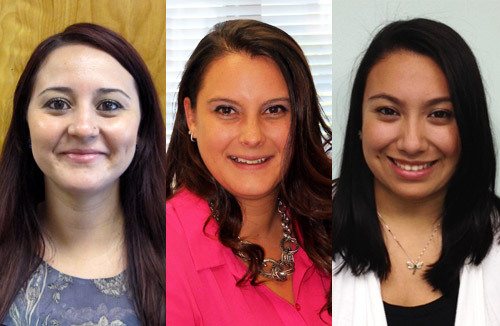 Braintree, MA (September 28, 2016) – Full-service real estate firm Peabody Properties, Inc. today announced that Cambridge resident Krystal Rodriguez; Raynham resident Regina Maliff and Revere resident Michelle Archer have been promoted to the position of multi-site manager. As multi-site managers, Rodriguez, Maliff and Archer are now responsible for more than one property with oversight for the physical, financial and administrative operations of the buildings as well as management of all site maintenance and office staff. According to Melissa Fish-Crane, Principal and Chief Operating Officer for Peabody Properties, these employees have demonstrated incredible dedication to property management throughout their time at Peabody Properties. “This promotion is a result of their hard work, training and education in the property management field. We take great pride in their many professional accomplishments and congratulate them on this well-deserved promotion,” said Fish-Crane. Pictured above (left to right): Krystal Rodriguez, Regina Maliff and Michelle Archer.